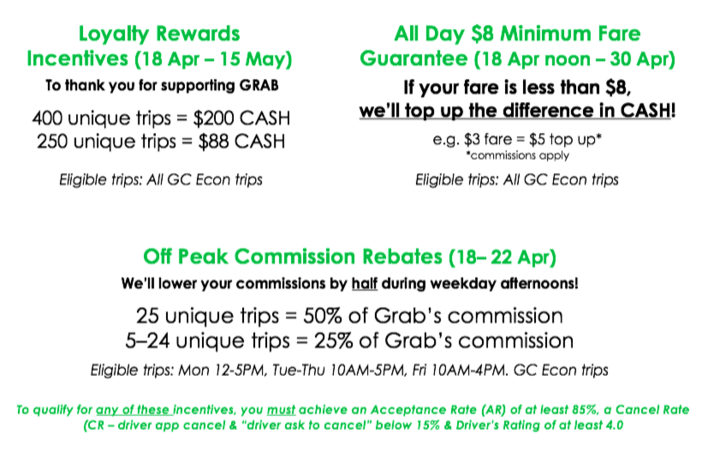 More bookings and income with GrabCar’s new fares! As part of our commitment to you, we are making a bold move to price our fares even lower to remain competitive. This price change, along with our incentives, will help you earn more money while driving with GrabCar. 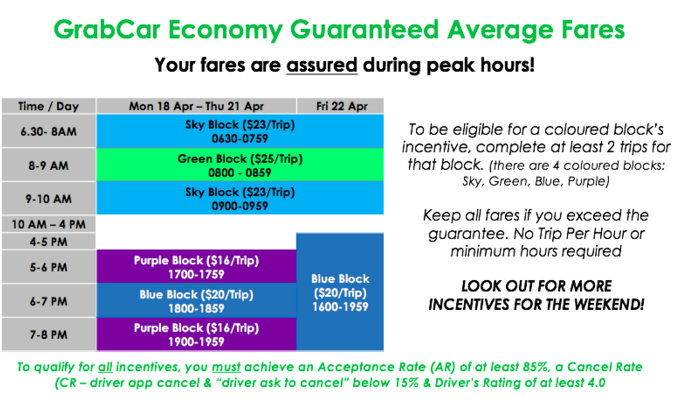 We believe this change will increase passengers’ demand for GrabCar rides, resulting in less waiting time for you. To help you take advantage of this increase in number of rides, we are also guaranteeing minimum $8 fares for short rides. This, along with our guaranteed average fares per ride, will ensure that you get the most out of this price revision. Remember, more rides mean more income! We hope you understand why we’re doing this, and continue giving us your feedback so that we can serve your needs better.